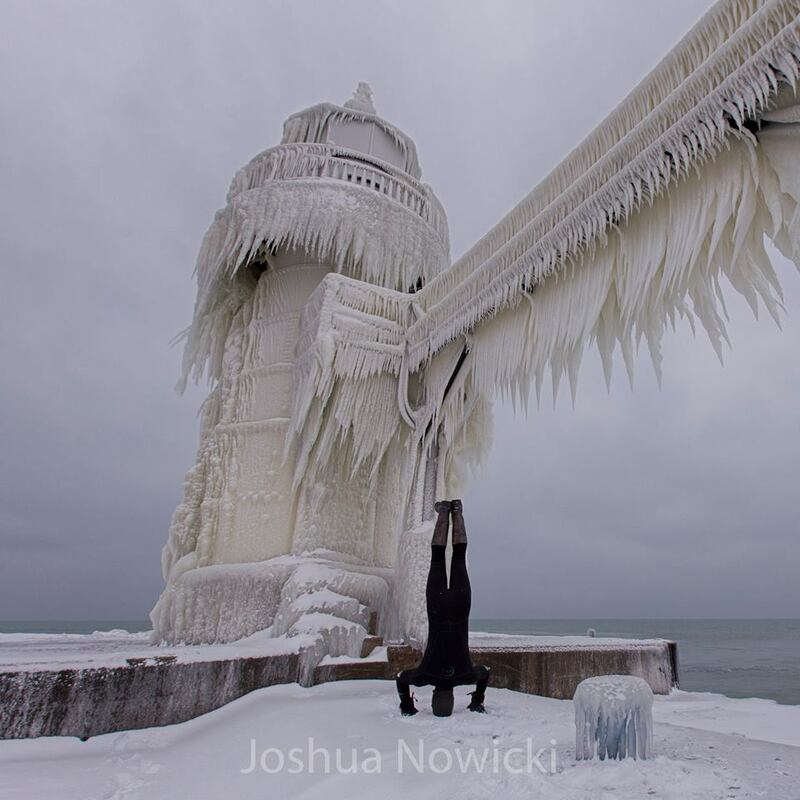 Photographer Joshua Nowicki captured this footage of a lighthouse in Michigan beautifully covered in ice. If these waves breaking in Michigan don’t have you reaching for your thickest wetsuit then nothing will. Photographer Joshua Nowicki captured these photographs and film of the St. Joseph lighthouse at the head of the St. Joseph River in Michigan. Joshua, who also shoots surf photography, kits himself out in his full winter wetsuit and often uses a SUP to get closer access to his quarry. The Michigan area is renowned for lake surfing, particularly on the Great Lakes. These vast lakes in North America cover a whopping 94,000 square miles, due to their size and depth they are often referred to as inland seas. They are famed for their ocean-like characteristics including rolling waves and strong currents, but beware, temperatures are known to drop as low -40°C so you would be wise to reach for that 6mm. To see more of Joshua’s work head over to his facebook page.